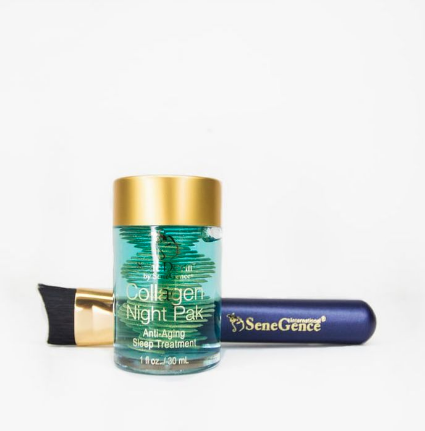 SeneGence carries a variety of products that target troubled skin areas and aid with specific personal care needs. If you have fine lines and wrinkles on your forehead, around your eyes, lips or any other areas, try our anti-wrinkle treatment. The ingredients are clinically proven to reduce light and medium wrinkles an average of 34% - 63%. 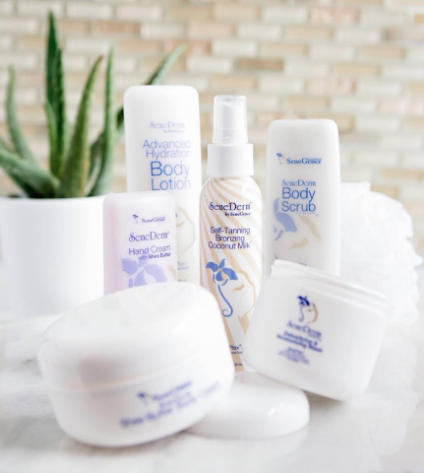 It also helps restore elasticity, moisture and improve skin texture, making your skin look younger! Two products that help correct discoloration or dark spots are our Brightening Multi-Vitamin Treatment and Dark Under Eye Treatment. The Brightening treatment targets discoloration caused by sun, acne, aging and hyperpigmentation. One of the key ingredients that decreases melanin production by up to 42.66% is Ascorbic Acid. Ascorbic Acid is stabilized Vitamin C, which does wonders for your skin. There are also vitamins E, A, B3 and Peptides. The Dark Under Eye Treatment does just that! Reduces under eye sagging, loose skin and under eye darkening. Is oil that can be used for everything! Diaper rash, eczema, scars, dry skin, cuticles, cuts, burns, hair treatment, stretch marks and more! You need to try this deeply hydrating oil. It is quickly absorbing and velvety feeling. This natural anti-inflammatory, anti-aging oil is blended with SenePlex Complex and Triglycerides (fatty acids) for ultimate hydration. Spot On is an effective powerful solution that targets specifically blemishes and acne. It contains 10% benzoyl peroxide which is what helps clear them up quickly. You only need to use a tiny bit so it will last forever! Personal story- my husband had some serious acne scaring from years ago and within three uses of this incredible treatment, it was almost completely healed. Insane! Looking for more luminous glow or smoother skin? We have one specifically for lips- LipSmooth, which will get rid of any dry or damaged skin and leave them feeling hydrated, conditioned and buttery soft. The other two are called Facial Resurfacer and Polish Exfoliator. Both of these products have Volcanic Ash from the Island of Vanuatu. This ingredient is naturally exfoliating and by ridding of impurities, you’ll notice much softer and vibrant skin within only three uses! The difference between the two is that the Resurfacer has slightly larger granules than the Exfoliator. These three exfoliators are amazing! Seriously. Also, with both products, a little goes a long way.